Sorry there are no shows for The Wider Earth - Kids Go Free Offer right now. A new theatre at the Natural History Museum has been unveiled for the award-winning drama The Wider Earth. The European premiere of the award-winning drama The Wider Earth tells the story of the rebellious young Charles Darwin, and opens for a limited season in a new theatre at the Natural History Museum. 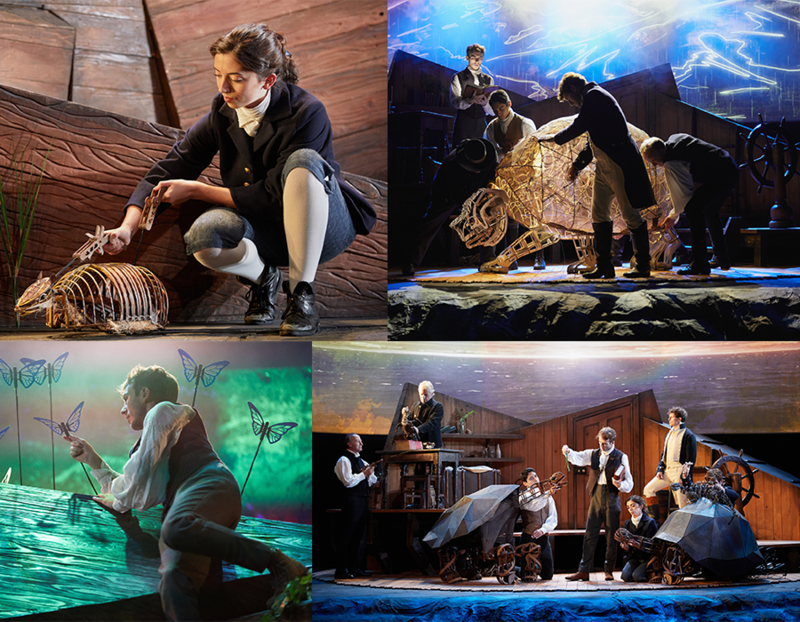 Join the 22 year old Darwin on HMS Beagle's daring voyage to the far side of the world and discover the gripping story behind one of the most important discoveries in history. A cast of seven, remarkable puppetry, an original score, and cinematic animations all combine to bring to life uncharted landscapes in the theatrical event of 2018. Photo by Mark Douet Venue: Natural History Museum, Cromwell Road, Kensington, London SW7 5BD The Museum has three entrances, on Cromwell Road or Exhibition Road for matinees. For evening performances, patrons must enter the museum via the Queen's Gate entrance only.